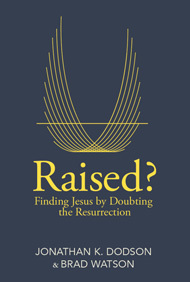 Barrs, Schaeffer, Evangelism, & #1 Bestseller $.99! When researching for my book on evangelism, The Unbelievable Gospel: Say Something Worth Believing, I dipped into two of Jerram Barrs books. Professor Barrs studied under Francis Schaeffer, and is Professor of of Christian Studies and Contemporary Culture & Resident Scholar of the Francis A. Schaeffer Institute at Covenant Seminary. His writings carry the flavor of Schaeffer, but with his own personal style. His very helpful book Learning Evangelism from Jesus is only 99 cents right now at Amazon. Snap it up! “This is a wonderful book which I will repeatedly return to myself for my own edification and encouragement and will gladly urge others to read. Indeed, as I was reading Jonathan’s account of the ‘defeaters’ which make evangelism a real challenge for many Christians and which also are a turn-off to many non-Christians, I kept thinking of people to whom I am eager to give this book. Jonathan faces head on the kinds of evangelism which have left a bitter taste in the mouths of Christians who have felt compelled to try them, and which have left a bitter cynicism about Christians and about the gospel in the hearts of non-Christians on whom they have been tried and found wanting. I highly recommend his book, and at 99 cents you can’t afford to not pick it up! 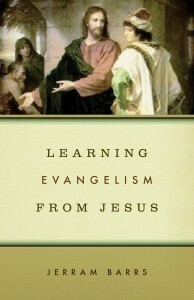 It is loaded with wisdom that is often lacking in current evangelistic training and practice. This is a fascinating account of our present secular experience that resonates, clarifies, and inspires.